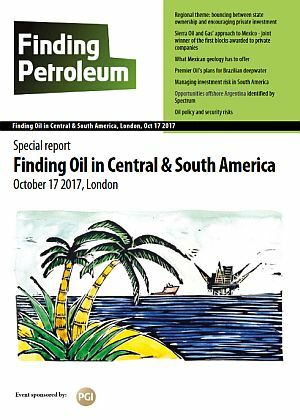 Central and South America covers a wide variety of petroleum provinces, from Mexico – rapidly opening up its offshore – to Brazil – with a superb set of established offshore basins – then inland to Argentina, Ecuador, Peru and Colombia…..and of course not forgetting the North Falkland Basin(NFB). Some UK companies are already engaged there, for example Sierra and Premier are involved in the first foreign-operated well offshore Mexico for decades, BP and Premier are exploring offshore Brazil, and Rockhopper and Premier (again!) have explored and possibly may soon develop in the NFB. The reality is though that UK companies ‘could do better’ in this region which has been somewhat off the radar compared with say Africa. In this Forum, for each country, we should consider National Politics/Security; Petroleum Geology (especially new insights); new data; opportunities; and which companies are best place to deliver, onshore or offshore oil production or regional energy supply; in particular where are the opportunities for UK companies? Richard Herbert is a former COO, Exploration with BP, retiring from that position in 2016. Before that he was Executive Vice-President Exploration with TNK-BP (since 2003). He was initially with BP. Read Taylor is currently Upstream Executive Director and a Founding Partner of Private Equity backed Sierra Oil and Gas Exploration. Sierra, having corporate headquarters in Mexico City, is engaged in evaluating upstream and midstream business opportunities as part of the comprehensive reform of the energy sector in Mexico. Read has over 25 years of experience in the oil and gas industry in Latin America, Asia and Africa driving highly successful outcomes in exploration and new ventures growth, technology development, field development and operational oversight. Prior to joining Sierra, he led a successful campaign of substantial gains with Brazilian private company Petra Energia as Executive Vice President Board Member. Prior to that, he served as General Manager and President of Devon Energy Brazil where he led a team ultimately responsible for several significant discoveries in shallow and deep water offshore Brazil. Read has also worked in various international field locations in geo-technical and commercial management positions at UNOCAL and Anadarko. He holds a BS in International Business from Pepperdine University, a BS in Geophysics and an MS in Geology from University of Southern California. Read also holds a diploma from Harvard Business School in Executive Management. Read is also Chairman and founder of RICE International Relief Organization an international humanitarian relief agency and domestic charity organization. RICE provides medical supplies, clean water, and other necessities in over 26 countries in partnership with local efforts and shelters. Sierra Oil and Gas, S. de R.L. de C.V. ('Sierra') is Mexico's first independent oil and gas company. With headquarters located in Mexico City, our senior team is composed of distinguished professionals from the Mexican and international oil and gas sector with over 400 years of cumulative experience with direct applicability to Mexico's opportunity set. The key to deepwater sweet spots are exceptional reservoirs at unexceptional depths – does the Cretaceous drift sequence in the Ceara basin present us with opportunities to test this hypothesis? The advantage of the Ceara Basin on the brazil transform margin is that the play risk has been removed by the Pecem discovery derisking the petroleum system and discovery of good oil in the Cretaceous turbidite channel system tested by the 1-CES-160 well ‘Broken Canoe Well’. The conjugate margin to the Ghana discoveries and lessons learnt from those discovers has influence the interpretation of the leads and prospects in the Ceara Basin. The attraction of having these deepwater opportunities in a portfolio is the scale of the opportunities available. In the current market with depressed rig and service costs there is an opportunity for creative development solutions to add value to licences secured at a high oil price. Currently Group Exploration Manager with Premier Oil responsible for Mexico, Brazil, Falklands, UK and New Ventures. 20 years in the industry with Conoco, Hess and Premier Oil. PhD in turbidity current processes and high resolution sequence stratigraphy from Cardiff University – tad out of date now! BSc Aberystwyth University when they used to do geology and look at the magnificent turbidite exposures on the beach in front of the college. JV partners with Talos and Sierra in the recent Zama discovery in Mexico…. - Obvious' risks can be managed, even by independents. - Comparison and discussion of Argentina, Brazil and Colombia, historical and current perspective, political, contractual/fiscal, commercial and technical risk associated with finding and commercialising pertrolem. Richard joined Tridevi Capital in 2016, having worked with Sid for three years on a mining asset investment. He is an experienced deal maker and E&P asset manager who has led transactions in Europe, Asia and Canada. He joined Tridevi Capital from Premier Gold Resources, where he was COO and then CEO. Previously, Richard worked as equity research specialist and deal maker for small / midsized E&P assets with investment funds and advisors like Daniel Stewart & Co, Newedge Group, ABN AMRO, Steubing AG and Comprendium Capital. He co-led a number of small / midsized public and private investments in E&P assets involving complex financial and legal structuring. As exploration offshore Argentina enters a new exciting positive phase, we use Spectrum data from South Africa and from adjacent basins in Uruguay, as well as newly acquired lines from the Argentine Basin, to answer some of the most critical questions regarding future exploration in the Argentina Basin. Will there be any source rock? If present, what will be its distribution and will it be generating gas or oil? What reservoirs do we expect to find? What trapping mechanisms do we expect? Petroleum geoscientist with 25 years of multidisciplinary experience in global offshore and onshore exploration inclined projects. She worked in companies like BG and PEMEX gaining diverse experience from regional play and prospect generation and evaluation, to working closely with high level management on their portfolio strategies. In her current role she manages Spectrum’s Geology, Geophysics and GIS technology team, working on projects on a global scale and enhancing the data library by providing technical geoscientific rational and justification. Jennifer Bates is a Latin America analyst for PGI’s Geopolitical Intelligence team, where she focuses on economic, political and security risks in the Latin America region for clients in the extractives industries. In this role, her projects have included research on the security risks faced by IOCs in Mexico and barriers to investment in Cuba’s oil sector. Prior to joining PGI, she completed an MSc in International Relations. She is a fluent Spanish speaker.